We are located near the beautiful Civic Gardens and Springbank Park in West London, and are so thankful for the delightful view that sits just outside our windows. 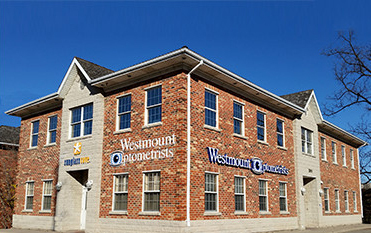 At Westmount Optometrists, our focus is to build professional relationships with all of our patients based on mutual trust and your specific needs. As eye care professionals, our mission is to always provide comprehensive eye and vision care to our patients. Trust us, you'll see! It is our goal to help you see the best that life has to offer, like the little scene outside your windows. We are a full scope optometry practice, meaning that we provide a full-range of eye care services. From preventative eye care and eye exams to pediatric eye care and ongoing management of eye diseases, you and your family can trust our experienced doctors and caring staff. From conservative-Canadian to savvy-Scandinavian, we have a frame with your name on it! 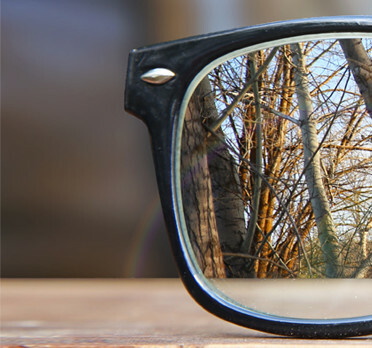 Your glasses are one of the first things about you someone will see - let us help you create a pair that is really you. Our experienced optometrists and opticians have the technical skills and fashion sense that will have you looking and feeling your best! Visit us in London or Glencoe and choose from great brands like Fysh, Ray-Ban, Lindberg, Tom Ford, and more! 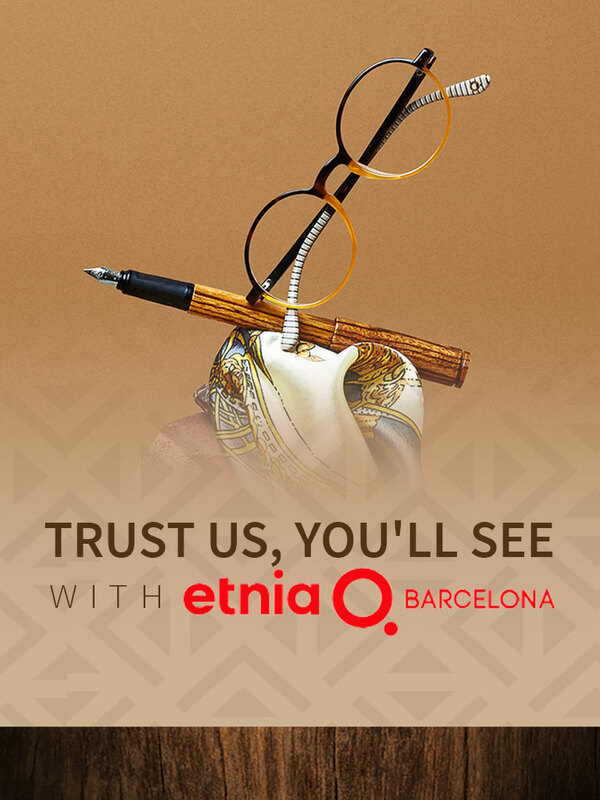 See all our eyewear brands. 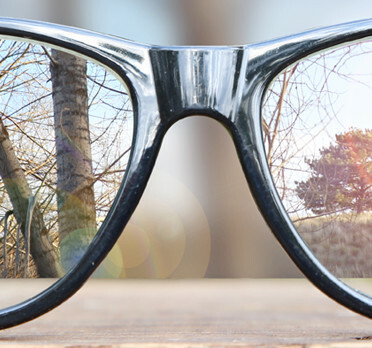 Millions of Canadians suffer from eye diseases such as glaucoma, macular degeneration, and diabetic retinopathy. At Westmount Optometrists, we have the knowledge, experience and latest diagnostic technology that helps us detect signs of eye diseases at the earliest stages. By using these diagnostic skills and technologies, we can help manage your eye disease and protect your vision. 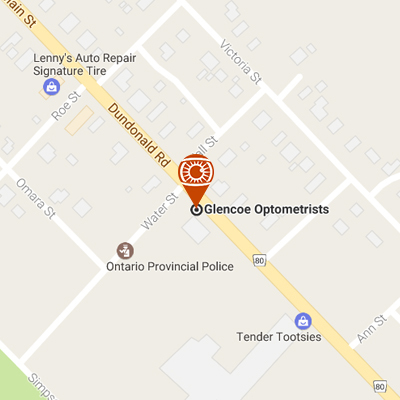 Sunglass Cove is Canada’s exclusive Optometrist-owned sunglass retailer. 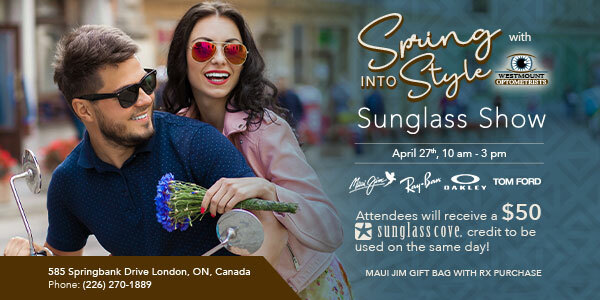 With over 250 unique, quality and trendy sunglass styles available, our Sunglass Cove has a selection that is unmatched in London. Brands like Tom Ford, Maui Jim, Oakley and Rayban will ensure you are looking your best every day! Trust Us, You'll See. Eye exams are the foundation of eye care. Like a physical at your GP’s office, an eye exam provides a comprehensive all-around assessment of the health of your eye and quality of your vision. Learn more about our eye exams for children, adults, and senior citizens. 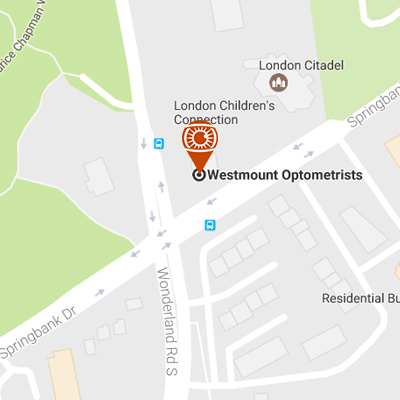 Since 1973 in London, and 1998 in Glencoe, Westmount Optometrists has been providing industry-leading eye care to our patients. We are proud to know so many friends and families, and as our patients have grown and started families of their own, we are excited to have become multi-generation optometrists. 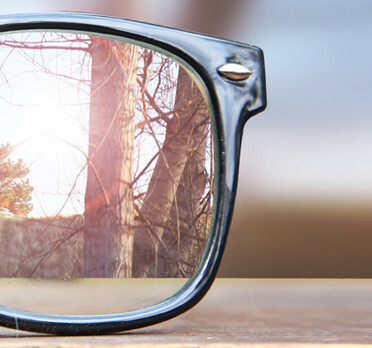 As eye care professionals, we know that not all eye care is the same. We believe our patients deserve the very best for their health, which is why we’ve incorporated advanced imaging equipment and ultra-sensitive diagnostic devices into our eye exams. Our use of today’s latest technologies provides a more accurate examination and a more comfortable patient experience. With over 100 combined years of experience caring for eyes in patients young and old, you can trust our family of optometrists to care for your family. We take our responsibilities as caregivers and medical professionals seriously. You can always trust us to provide comprehensive eye and medical advice that is based on accurate information about your eyes.